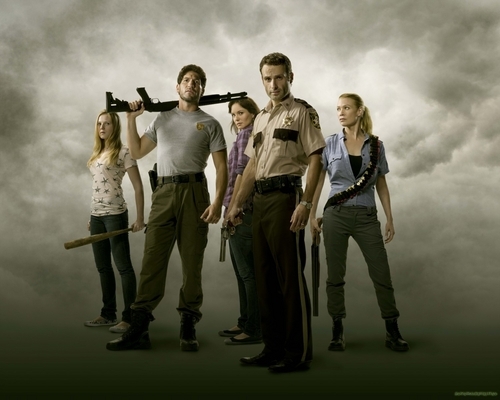 The Walking Dead Cast. Cast photoshoots. HD Wallpaper and background images in the ウォーキング・デッド club tagged: the walking dead 2010 photos promos photoshoots season 1 cast. This ウォーキング・デッド photo contains グリーンベレー帽, 特殊部隊, エリート兵士, グリーンベレー, and 緑色のベレー帽. There might also be ライフルマン, ライフルン, ライフル銃兵, 戦闘服, バトルドレス, 海軍シール, シール, and ネイビーシール.